This Ford BDA BDG steel competition spec head gasket has been made by J-Craft ,this is very stronger than other competition copper style gasket. This Ford Lotus Twincam , KENT steel competition spec head gasket has been made by J-Craft,this is very stronger than other competition copper style gasket. Aston Martin DB5 steel competition head gasket. 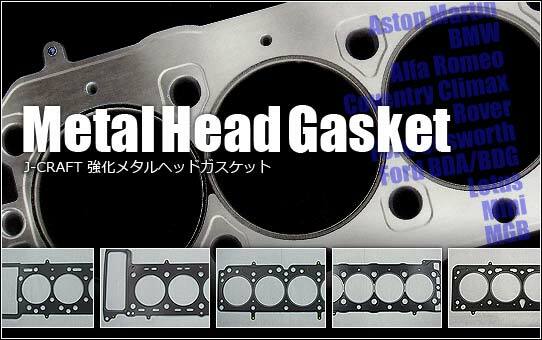 This Mini Midget 1300 steel competition spec head gasket has been made by J-Craft,this is very stronger than other competition copper style gasket. This MGB steel competition spec head gasket has been made by J-Craft,this is very stronger than other competition copper style gasket.